BBC Introducing hosts a trio of Liverpool new talent, Getintothis’ Lauren Jones goes underground, alone, seeking new bright sparks. Burrowing down the twisted staircase to The Cavern is something which one can’t describe. The roar of the past accumulates as you delve deeper underground, feeling the sweaty alcoholism clinging to the vicinity of jolted bodies and contorted shapes. The perfect stage for an underground, grassroots revolution. 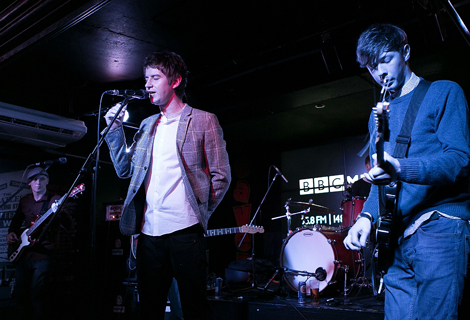 The BBC Introducing gigs are probably a devoted ‘indie’ kids dream when it comes down to scouring the endless lists of the more unknown artists. And there is no doubt that this night certainly flaunted that, yet, with a hint of something just a little more special, real talent. The rebuilt Cavern certainly added to the quirkiness, not to mention the highly intoxicating air of which seems to consume even the sober, allowing for a spectacle of giraffe dancing and somewhat rather intimate canoodling. However, not to put us singletons off, a joyous chime with an Ibiza twist began to harp, full of that jovial, party hard ambience most needed to kick off the night of music pandemonium. 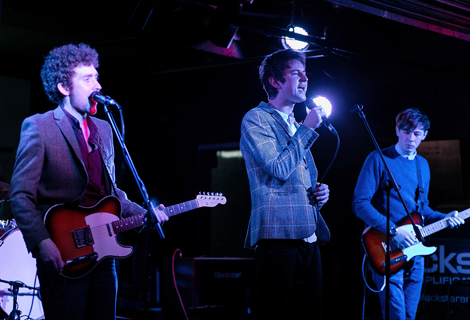 Divided Soul was the name of this funk-imbued quartet, with members hailing from Warwick, Hertfordshire and Liverpool, now, considering this was their first full band performance, it was a brilliant first dive in right at the deep end. 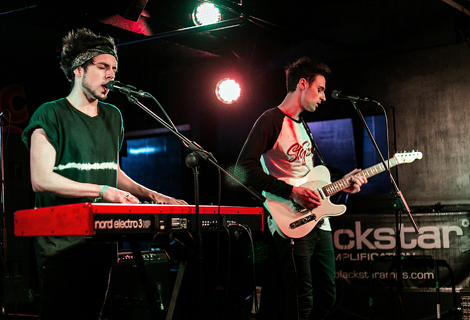 Groove zealous keyboards tinted with souped up bass had bodies bopping to the floor, shimmying their auras as the tempo gained a rather energetic surge from lead guitarist, Luke Rees. Their prominence upon the stage had the greatest effect at the very end with flying John Travolta arms from spectators, a typical scene on a Friday night at Flares situated right next-door. 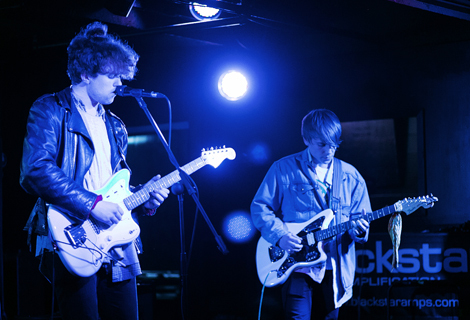 Warrington based quartet, Viola Beach reminded Getintothis of a rag doll on speed, frontman Kris Leonard channelled his inner Harry Koisser (Peace) to put on a rather stimulating performance, engaging fully with the audience. The slurring purr of Leonard‘s vocals certainly had many heads turning, along with a hearty beat provided by Jack Dakin, which surely would have the neighbours complaining. Their crumpled 90s image complimented their mixed capability, definitely showing that within the positive sound of their instrumental yet perhaps more work could be needed on the lyrical side of things. The eagerness to gain the accreditation from us was surely felt in their last number, a cover of Everywhere, Fleetwood Mac, putting Viola‘s own twist on the Everywhere Pony, using their lively limbs to recreate the recent television phenomenon for themselves. 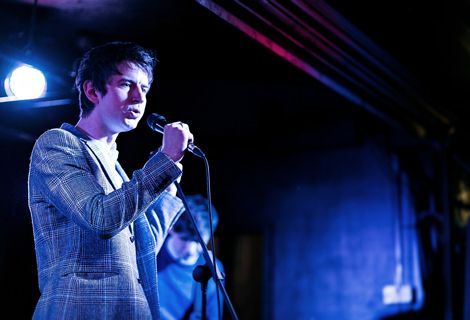 The sultry numbness of the stage quelled as Merseyside’s Dave Monks announced that Irish songfarers, The Vandettes were to take the Cavern‘s lustful lounge area. The slow melodic sound that circulated the perimeter surely had everyone in awe of the gracious sound emanating from the cinquet, seeing feet gliding back upon the floor to share in the foot-tapping transpiration definitely dished out all visible proof to any of the doubters in the room with frontman, Robbie Cully leading the rocking motion in complete synchrony with his capricious vocality. Unsure of what to expect from Vandettes, more fell under their spell especially with their similarities to that of a stripped back Black Keys, slumped with an extremely diluted backbeat of hip-hop and chugging beats, this all tied together with the use of maracas and tambourines. It was with that surprise tactic, of which allowed these lads to most definitely force expectancy levels through the roof. Utterly impressive and proving their headline status, the Vandettes took this gig, shook it to the core and left a bewildered audience in unmitigated adoration.